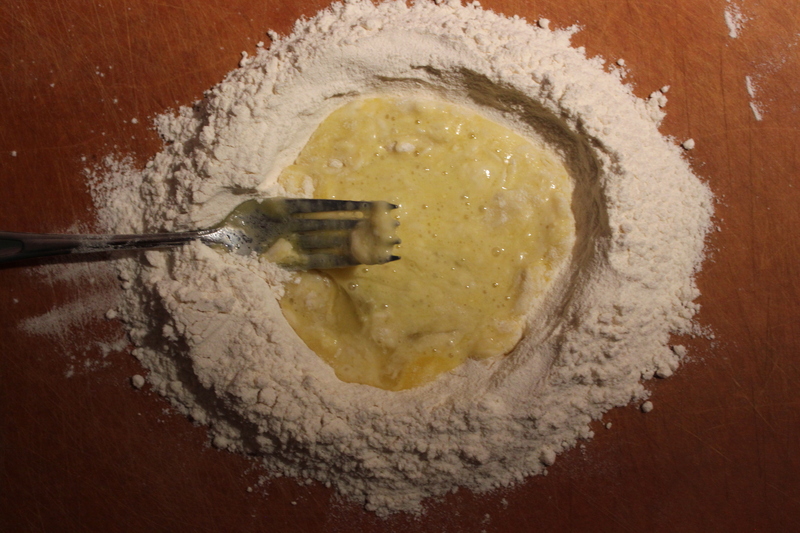 A simple recipe that works for all different pasta shapes. Going the extra mile to make pasta from scratch is well worth it, and is surprisingly fun and easy. The second time you make it, you won’t think twice about whether or not it is worth the extra effort! 1. 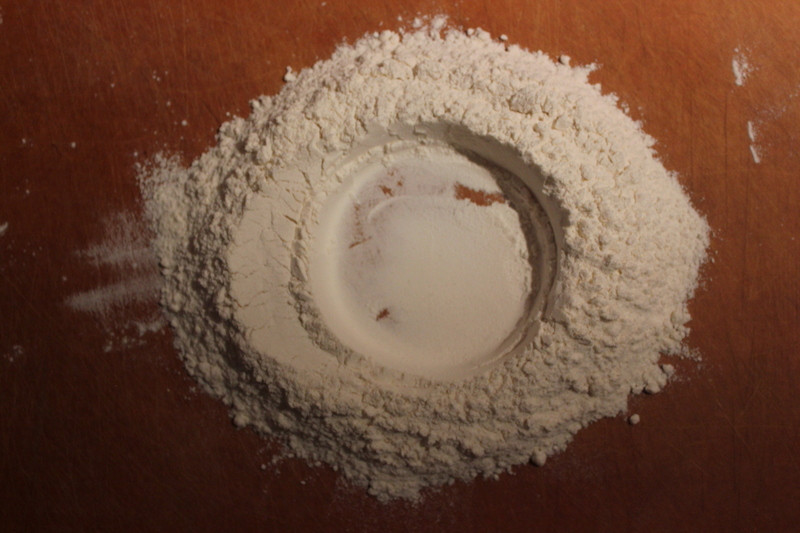 Make a volcano shape with the flour directly onto a clean working surface. Crack the eggs into the center and add the pinch of salt. 2. 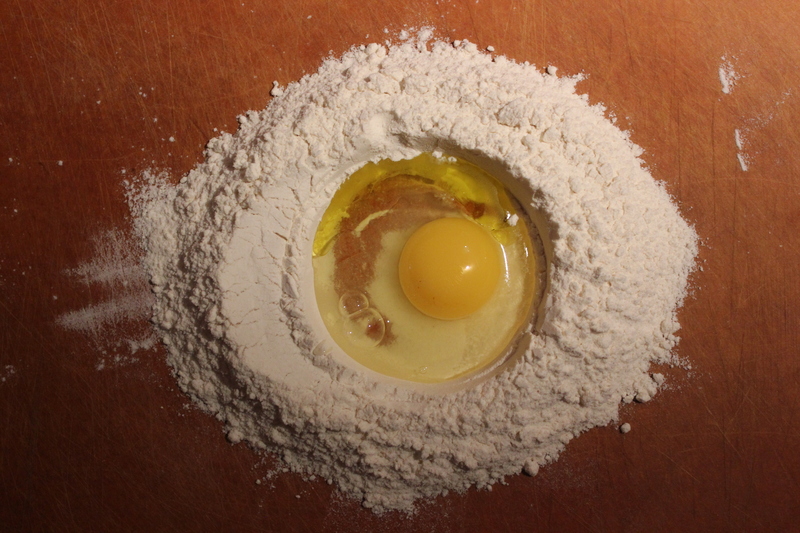 Beat the eggs with a fork, while bringing in a little bit of the flour at a time. 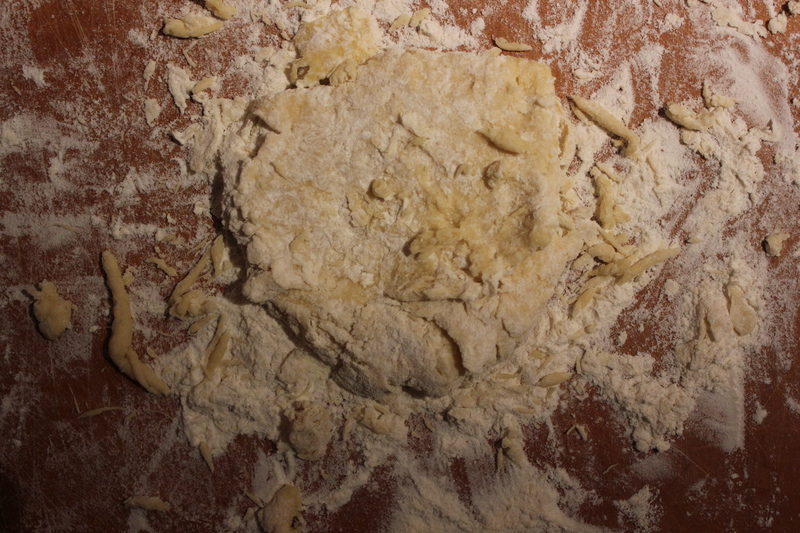 Continue to combine the ingredients, it won’t combine in one uniform mass, but a bunch of flaky bits. 3. 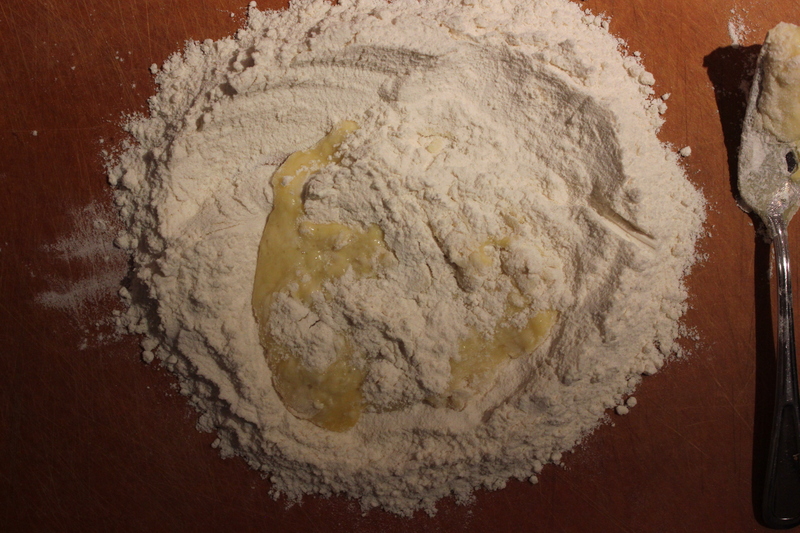 Flour the working surface, and knead the dough for about 5 to 10 minutes; you will start to see moisture come to the surface while the dough combines into a uniform mass. 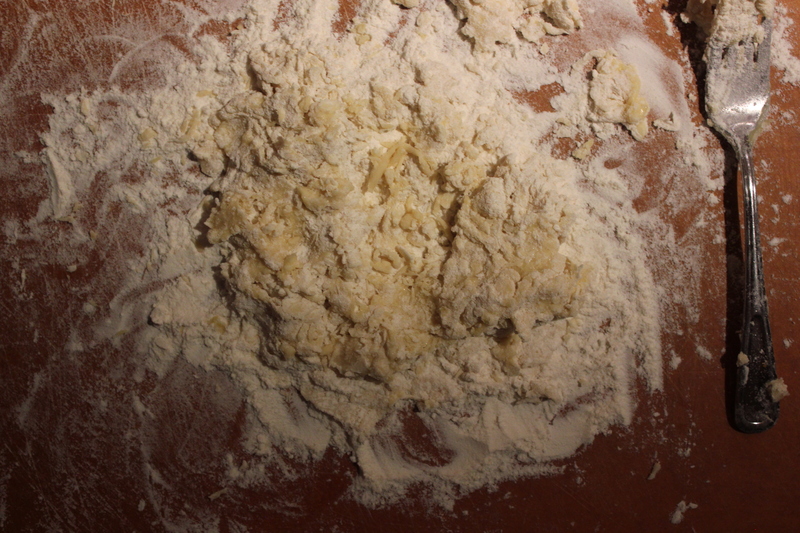 You want a stiff, springy, dense dough – this is what gives pasta it’s desirable texture. 4. 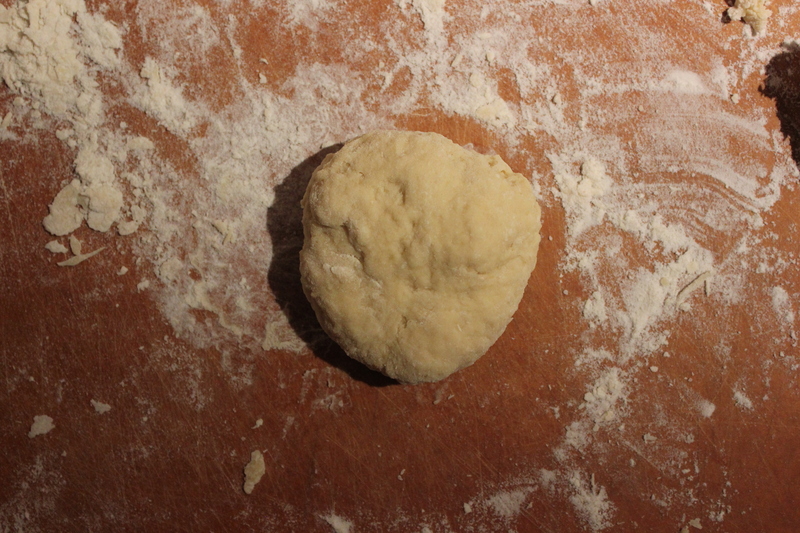 Toss the dough ball in a glass bowl with the olive oil, swirl it around for a couple seconds so that all sides are coated in oil. Cover in plastic wrap and let rest for 1 hour. 5. 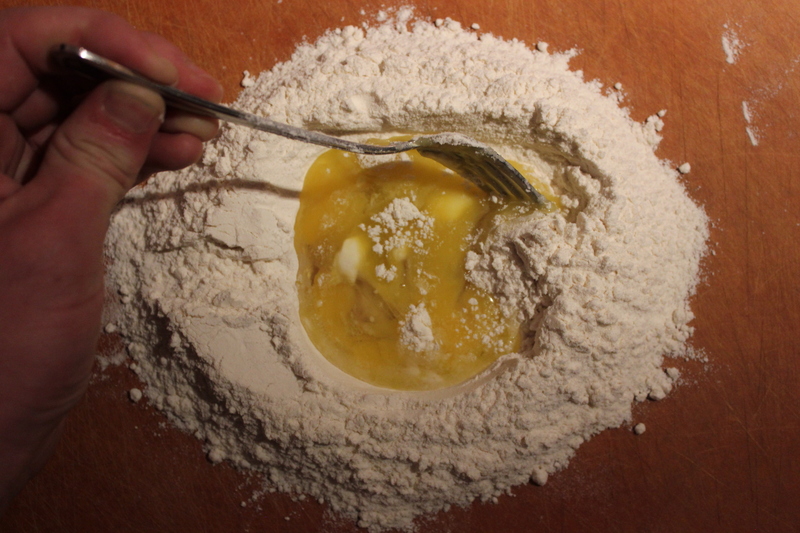 Roll the dough out using a pasta machine or rolling pin into your desired noodle shapes; if not using right away, dust the noodles with a bit of extra flour and drape over a pasta rack, or just wooden spoon propped between a couple of tall cans. Enjoy in your favourite pasta recipe – remember that the cooking time will be less than dried pasta, so taste while they are cooking to determine the level of doneness!